Indulge your senses with a delightful, beautifully prepared meal, while overlooking the picturesque rural landscape at Stony Ridge Farms. 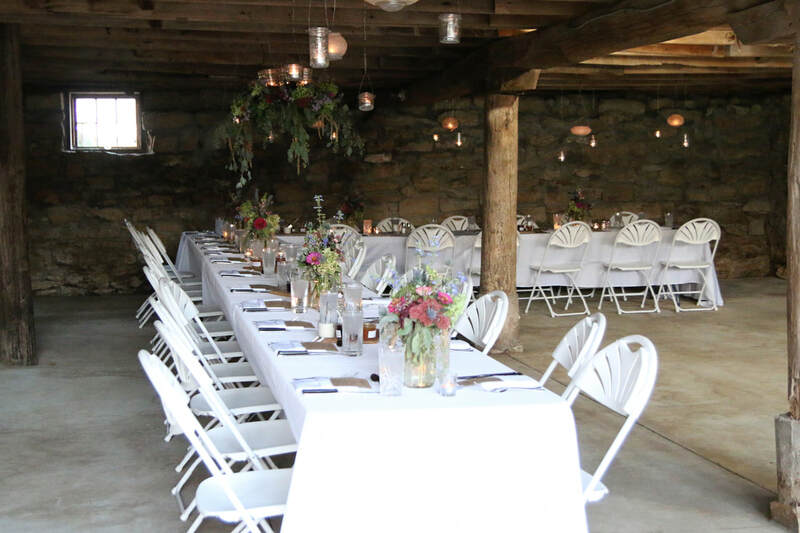 Our event takes place in the restored lower walkout level of our early 1900's barn, with white linens, vintage china, fresh flowers, live music and candlelight. Relax, enjoy the evening and toast to the night, as the sun sets and beckons a spectacular starry sky. Follow us on Facebook to stay informed, as the details of this event unfold and for more information on ticket purchases.